Co-created by the would-be Bond himself, Netflix's comedy amplifies every attractive-but-unknown Elba element without any ingenuity. 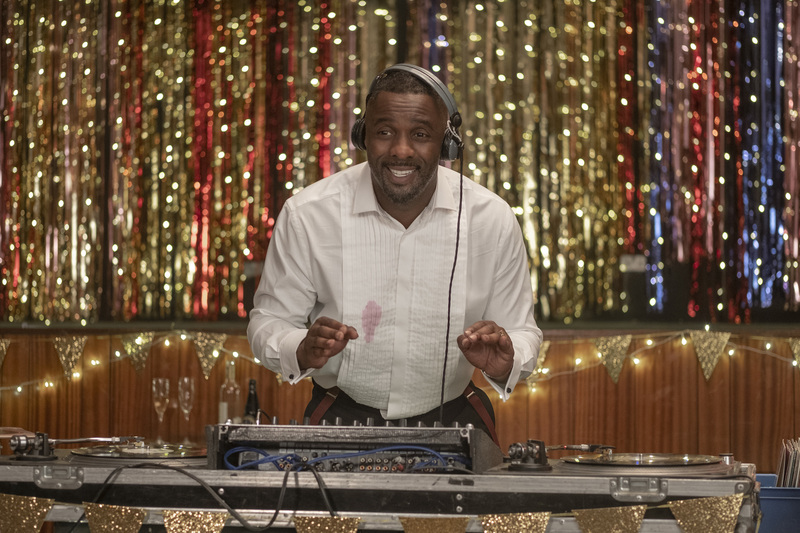 Charlie (Elba) is a former ’90s pop star whose career bottomed out over the last two decades, leaving him to take DJ gigs wherever he can get them — including one of his friend’s weddings, where he reunites with David (J.J. Feild), his best friend growing up. David is trading in his swanky Los Angeles movie star lifestyle to move home and spend more time with his wife, Sara (Piper Perabo) and daughter, Gabrielle (Frankie Hervey). “Gabs” has been a bit of a problem of late. She’s the real reason the family moved back to Britain, where they hope to give her a more grounded, normal childhood. Charlie sees her rambunctious nature first-hand when he stops by for a drink after the wedding to find Gaby running her nanny out of the house. Enter Charlie. David and Sara love the idea of having someone they know take care of their daughter, but Charlie’s occasional late-night shows and frequent hook-ups make manny duty a slight hindrance. Whether or not he wants to take on childcare is eclipsed by his need for money, but further incentive is given by the parents’ professions. Sure, his best friend just happens to be a movie star with a $200 million superhero franchise, but his best friend’s wife is also a world-renowned DJ. She’s got a studio in the house Charlie can use, and the contacts he needs to get back on top. Can someone say “coincidence”? Sure, and the many factors that bolster the situational-comedy in “Turn Up Charlie” stack up faster than sweaty bodies on the dance floor: He’s a pop star and a DJ; he’s good with this kid even though he has zero experience with kids; his friends want to give him money and access and career help (so he doesn’t have to be the bad guy trying to steal it), and they are perfectly set up to make his dreams come true. 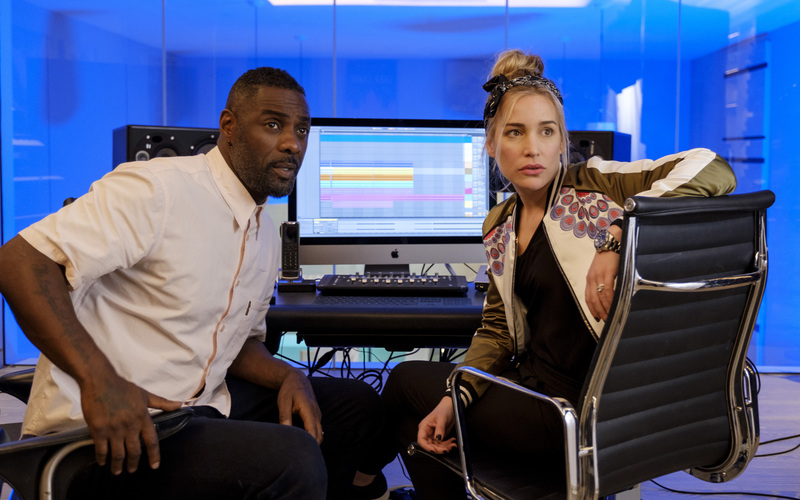 It’s a wish-fulfillment scenario to be sure, for a very specific wish — (Elba is a disc-jockey in his spare time, even DJ’ing the Royal Wedding) — but all that could be forgiven if the surrounding story was a bit more charming and a lot less predictable. “Turn Up Charlie” is so mainstream, it should’ve been a multi-cam sitcom — at least the laugh track would elicit more of a reaction than the show can on its own. The only thing separating it from a serialized version of “The Pacifier,” “Kindergarten Cop,” or another tough-guy-turns-dad role is the swearing, and Netflix sitcoms are more than happy to let its bad boys curse up a storm. Charlie often wears the same tight t-shirt. He pops up in the same locales — a random, largely unseen club or his apartment or David and Sara’s house — and the jokes often stem from repetition (no one ever utter the word “precocious” near me again), awkward gags (like, no kidding, getting sprayed with a fire extinguisher), or kids saying the darnedest things. Still, it’s frustrating to see an artist with such ambition settle for something so elementary. It’s harmless, sure, but it’s also inconsequential and unkempt. There’s a dozen better versions of “Turn Up Charlie,” and, for all it offers its star, the one that exists simply isn’t worth hearing. “Turn Up Charlie” Season 1 premieres Friday, March 15 on Netflix.